If you’ve been working hard on your content marketing and promotion strategies, you’re likely expecting to see traffic and conversions gradually increase over time. But if you’re not seeing the results you were hoping for, it could be an issue with your content distribution strategy. Content distribution on social media, for example, is only one of the ways you can share your activities to encourage existing customers to take action, and invite new visitors to your web site. If your digital content distribution strategy isn’t properly set up, or nonexistent, building new relationships with prospects will be more of a challenge. To resolve this issue, here are some ways that can help you generate fresh traffic, build strategic relationships, and meet your SEO goals. Owned content distribution is content that is distributed through your brand’s channels. Options of this method include your web site, blog, RSS feed, and e-mail marketing list. Social media and SEO may be considered grey areas of owned content distribution as they can be defined as “owned,” however, the platform and your following could easily be altered. For example, the decision by Facebook to add restrictions on how fans see updates has caused brands to pay to reach their own followers. As for SEO, although the pages are yours, you are never in full control of your search rankings. Owned content distribution gives you maximum control over your reach, however, the reach can be very limited as you are only able to reach those who are following your owned content channels. 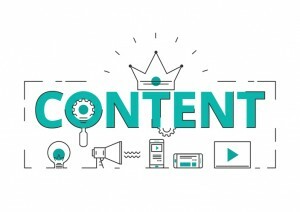 Earned content distribution comes from external sources such as social media shared by others, product reviews, public relations, forums, and non-sponsored blog posts. This makes it the most credible content distribution tool. Unfortunately, it is the hardest option to get because you have no control over what users do with your digital posts. Additionally, earned content can be negative as well as positive. The most straightforward option to define is paid content distribution. This method refers to paying for your content to reach more people. This can be done through social media promotion, paid traffic through content discovery tools, native advertising, sponsored content/blog post promotions, and display advertising/AdWords. The benefit of paid content is that it allows for a good level of control and can help achieve a good reach to prospects. On the down side, in some cases it can be expensive and have less credibility than more organic means of generating traffic. The best strategy is to use a mixture of distribution channels. Converged content is being used more and more to describe areas of content overlap where several types of content distribution work together. This happens often: a piece of advertising may get shared by an influencer on social media, or a brand may pay to promote earned content on an external blog. Mixing paid, earned, and owned content distribution provides a good balance of pros and cons, and allows you to have maximum impact without going overboard with cost or losing control. If you are looking for help with your online or video content distribution strategy, Numero Uno Web Solutions provides excellent content distribution services. We are a content marketing agency in Toronto that specializes in helping startup and small businesses improve their web site’s SEO, AdWords PPC campaigns, and more. 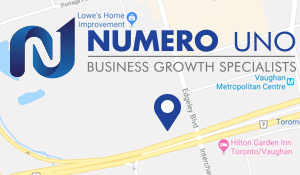 For years, we have helped businesses across the Greater Toronto Area, Texas, Massachusetts, and Florida, boost their marketing strategies and grow their business. Call us at 1-855-SEO-XPRT to learn more about our content audit software, tools, and services.